The next upcoming Labor Day is on Monday September 2nd, 2019. 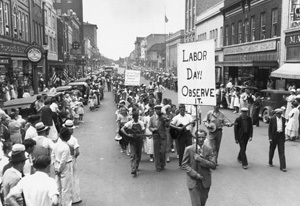 Labor Day is observed the first Monday of September. It is a day to celebrate the American labor movement and the achievement of workers. It also marks the end of the summer season. It is a federal holiday. All government offices and many businesses are closed. Labor Day is a time to spend the last days of the summer season. Many people celebrate with family or neighbor barbecues, picnics, sporting events, and fireworks. Others will take in their last weekend of vacation for the summer. Football season starts around Labor Day. Labor Day originated by the Knights of Labor and the Central Labor Union. Oregon was the first state to make it a holiday on February 21, 1887. In 1894, it became a federal holiday, officially celebrated by thirty states. It was approved as a national holiday following the deaths of workers from the U.S. Marshals and military during the Pullman Strike.